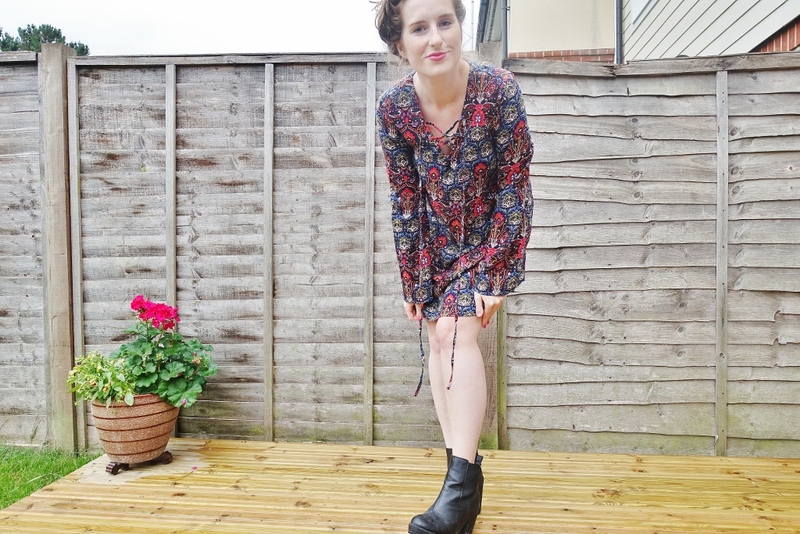 Looking for the ultimate hippie dress? 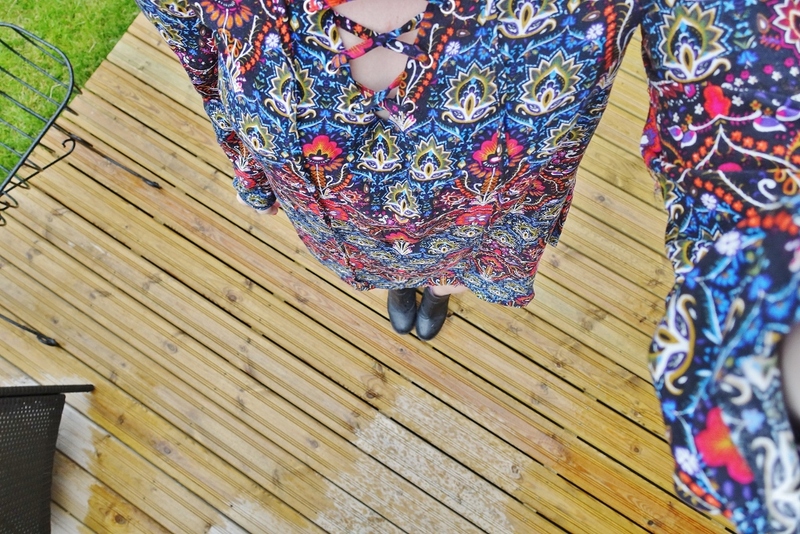 This tie front hippie dress with bell sleeves from Vero Moda is being sold on ASOS and is hippie perfection! Dresses featuring the v-neck tie up front style and floaty bell sleeves are all over the fashion globe at the moment and I for one, am loving the trend. With festival season still in full swing, its definitely the perfect loose fit on your body - so you can stay looking glam in the field without the cling of heavy fabrics. I know the weather is all a bit doom and gloom at the moment.. but even with long-sleeves in fashion for the summer you can keep warm and on-trend. Otherwise, just pair some leggings or tights to keep the chill off your legs. 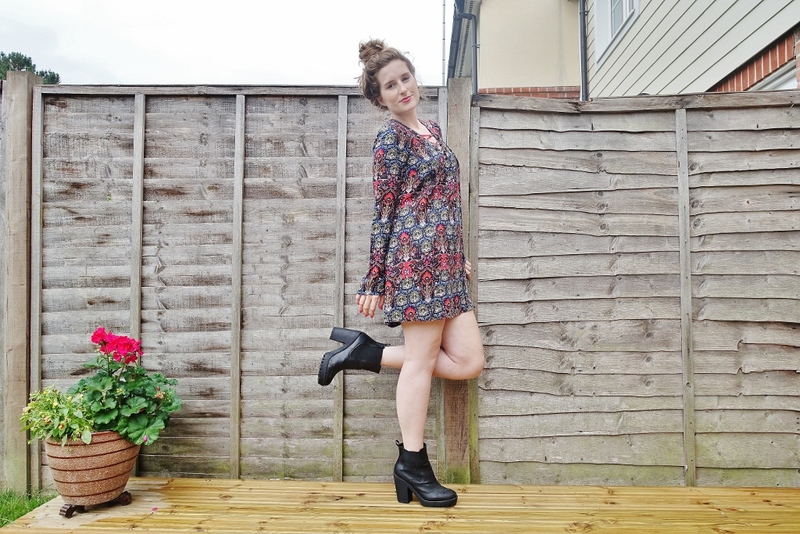 I've got my eye on a few other bell sleeve dresses over on Missguided and Boohoo. Everything is far too tempting in the shops and online at the moment! 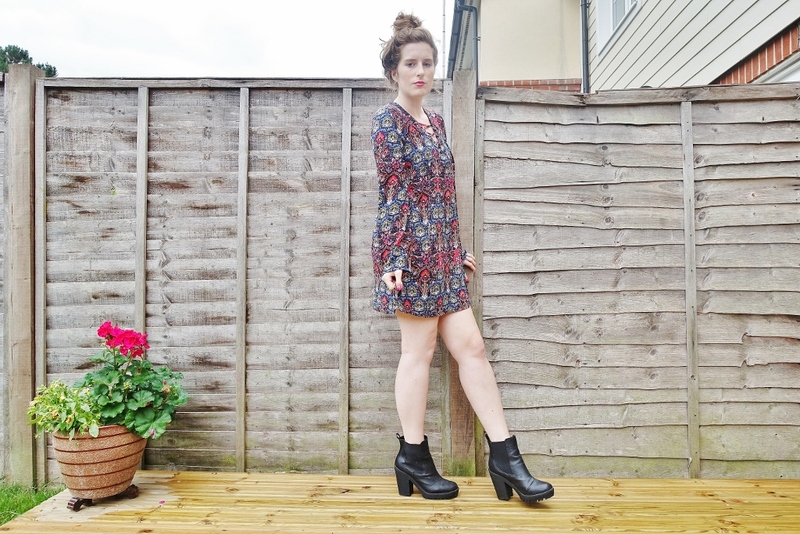 Such a cool dress, this would be perfect for festivals!